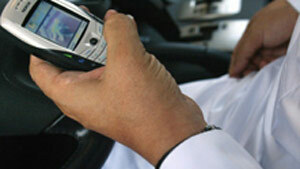 Mobile phones remain the main mode of communication in the Middle East. While the rest of the world pushes deeper into the realm of cyberspace and the Internet, in the Middle East, mobile phones remain the mode of choice. In fact there are more than 200 million mobile phone lines in the region and in many markets penetration is well over 100%. MME takes a look at why verbal communication still dominates and whether there is a market for broadband. With over 60 million subscribers in 8 countries and the only Turkish company to be listed on the New York Stock Exchange, Turkcell is a leading telecommunications giant. This week MME talks to Turkcell's CEO, Sureyya Ciliv about not only the new markets that he is looking to venture into but also the era of new technology for the region.